Usually when I tell people about my plan to run my first 5k race, that statement is met with puzzled looks as the other person looks me up and down to access their rightful suspicion that a fat guy would normally not be anywhere near anything involving the word run. For most of my life I would have agreed when the mere utterance of phrases like “presidential fitness challenge” and “fun run” would instantly strike fear in my mind to the level of a pop quiz over last night’s reading assignment in a textbook that has never been cracked open. I didn’t think that I could complete a 5K race. In 2008 my sister and I volunteered for a great local charity called “Captain Hope’s Kids” who’s mission is to meet the critical needs of homeless children by partnering with a network of homeless shelters and social service organizations to help more than 45,000 kids in DFW just in 2014. One of Captain Hope’s Kids fundraising events was the Mardi Gras 5K Run that went through the West End and Victory Park. Here’s a couple pictures from that day after the race finished. Summer and I showed up to help setup then took our spot at Ross and Houston street where we helped direct and cheer on runners as the sun began to set and the race was about to start. The smell of perfectly seasoned and seared meats permeated the streets in the West End as we waited for the heard of runners to turn the corner and head toward us like a stampede of cattle running toward their own slaughter at any one of the West End’s steak houses. I had the impression that all the people running are “runners” you know the people that would look right at home on the cover of “Runner’s World” and that I wouldn’t see anyone that could even remotely look like me or have a body fat percentage even in the double digits. That world view was wrong as a tightly woven tapestry of humanity made their way past our little street corner. There wasn’t just the elite runners but people of every shape and age group blowing past my then confused face (kinda like the picture above) as the little voice that said I could never do this no longer had anything to say. I was hoping to run the same race that Summer and I once volunteered at but the Mardi Gras Run no longer runs through the same path through downtown Dallas and isn’t scheduled for 2016. 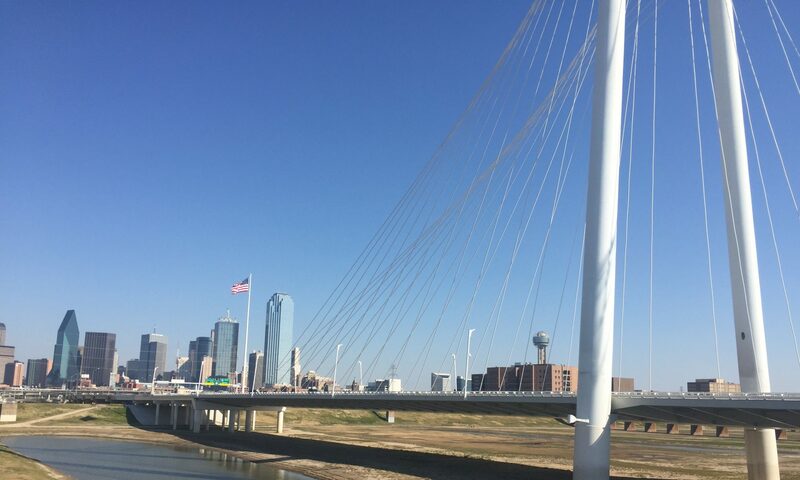 I started to look elsewhere when I came across “Run the Trinity” that crosses the Margret Hunt Hill and Continental Avenue bridges providing great views of the Dallas skyline. That’s the story up to this point, I signed up, started training and have been counting down the days to March 6th when I will finally quiet that voice of doubt. I can’t wait to cheer you on this time!!! Love you to infinity.